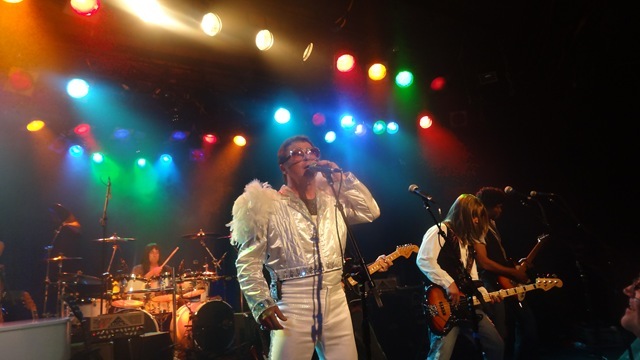 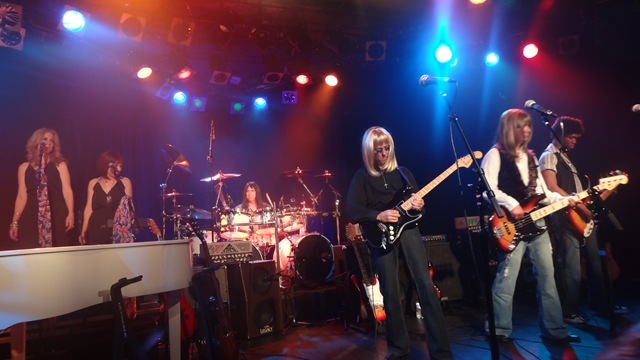 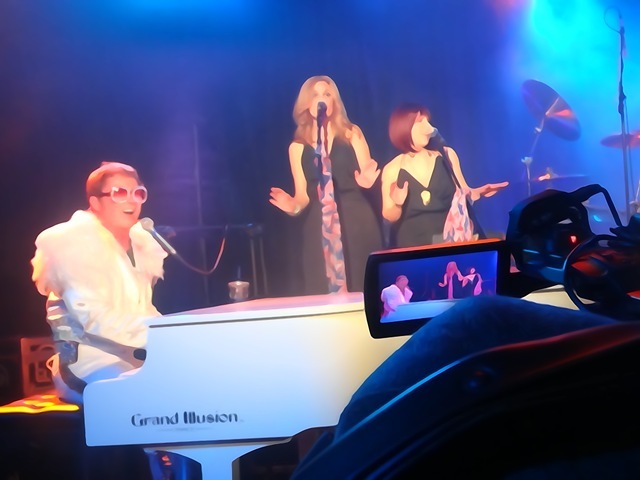 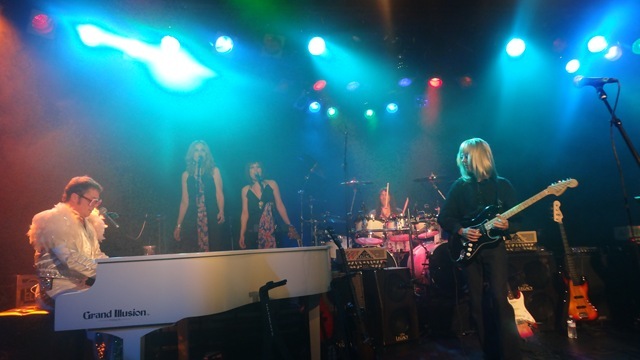 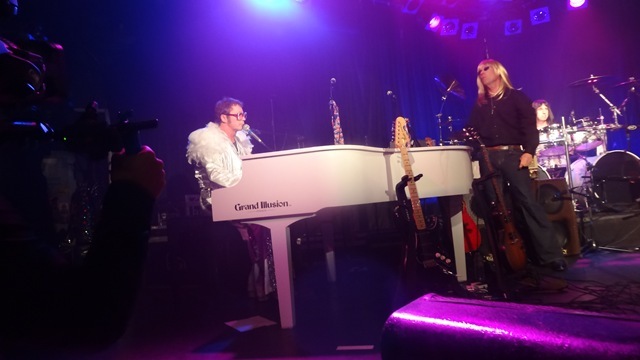 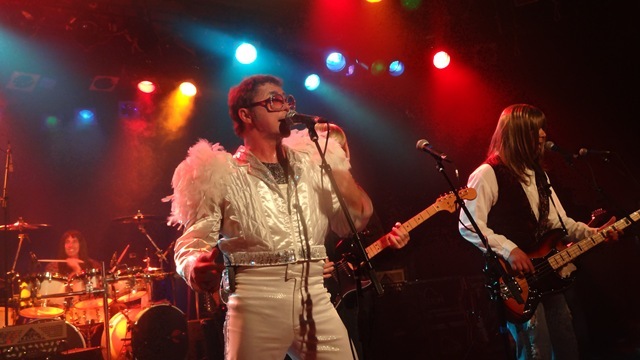 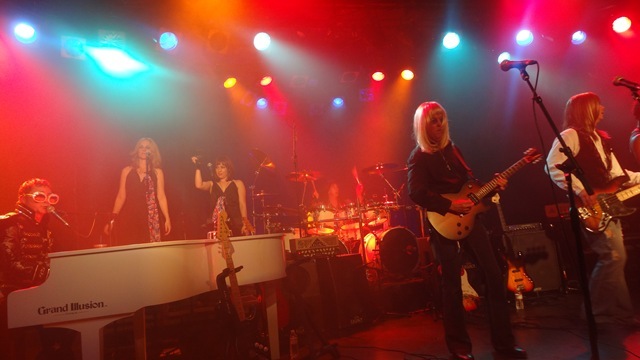 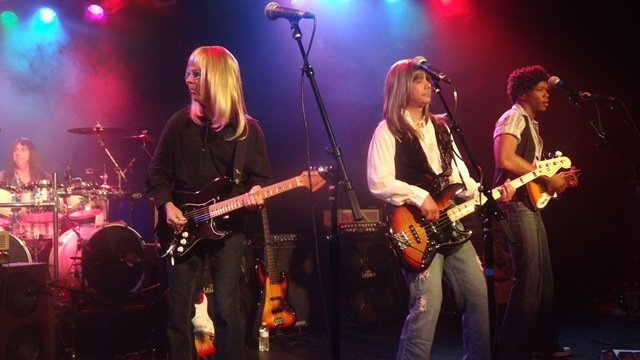 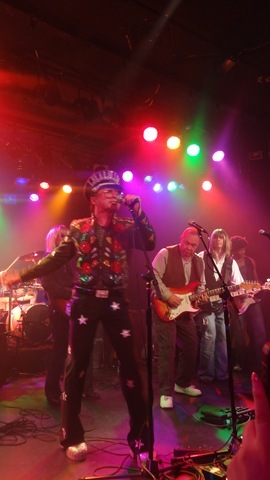 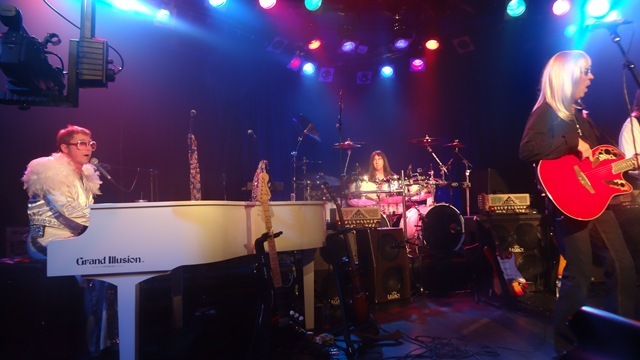 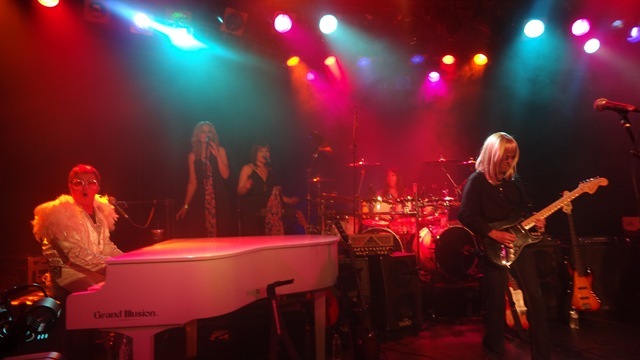 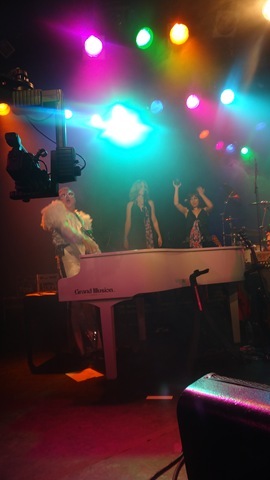 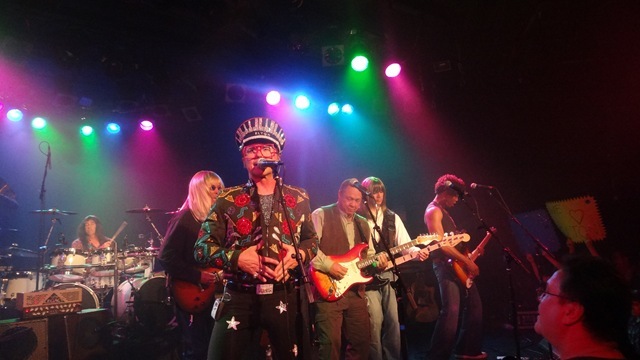 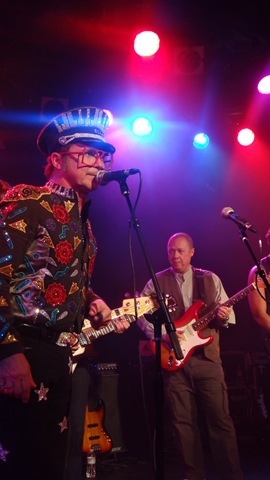 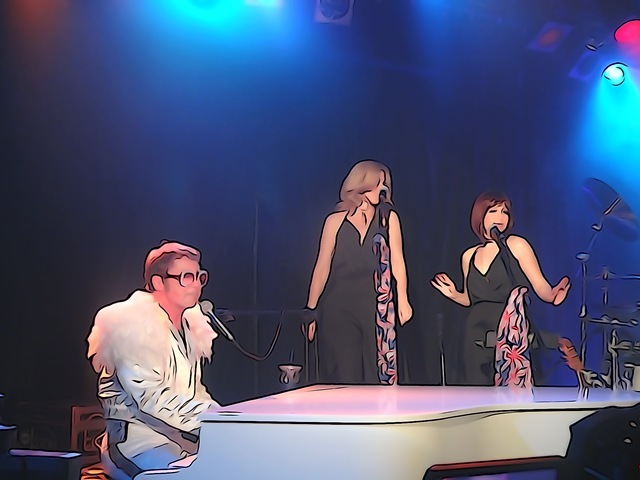 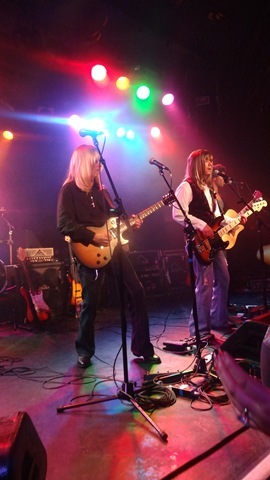 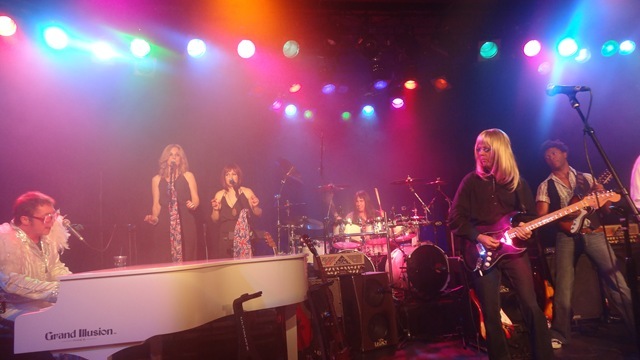 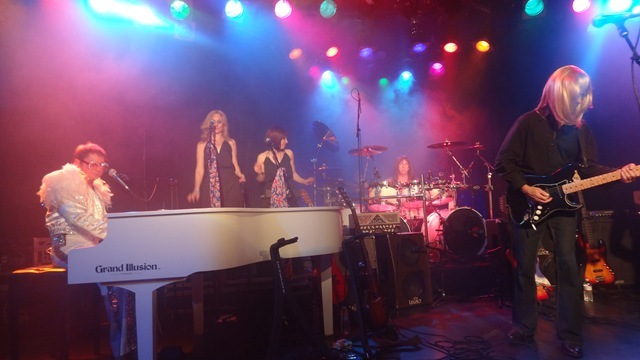 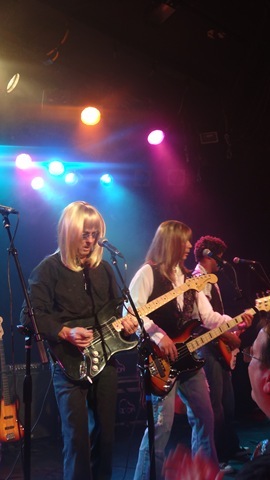 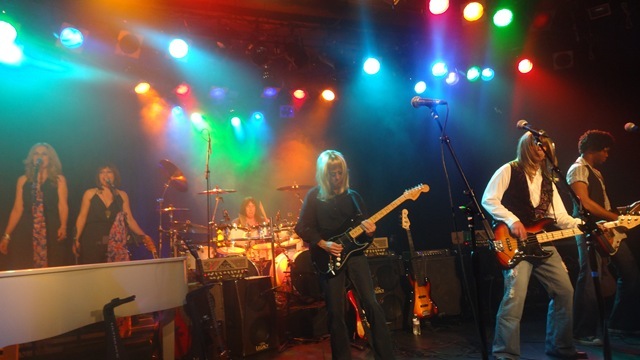 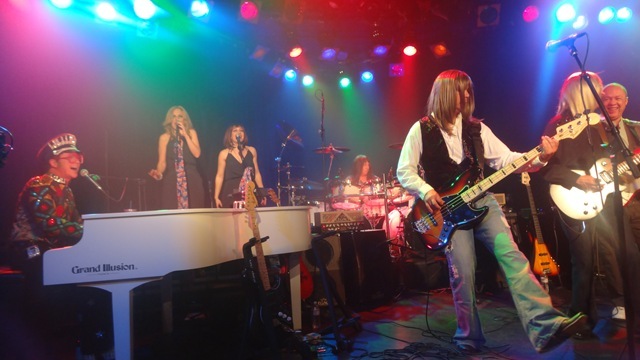 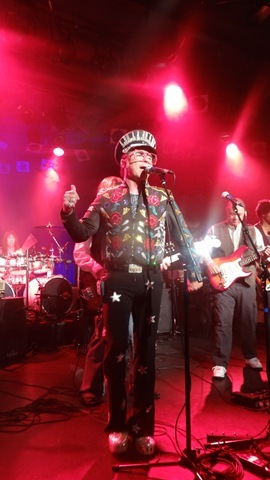 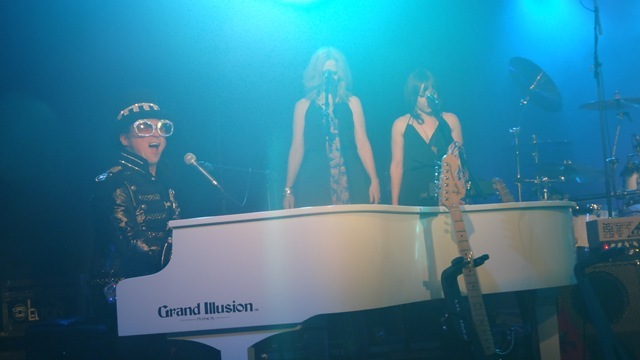 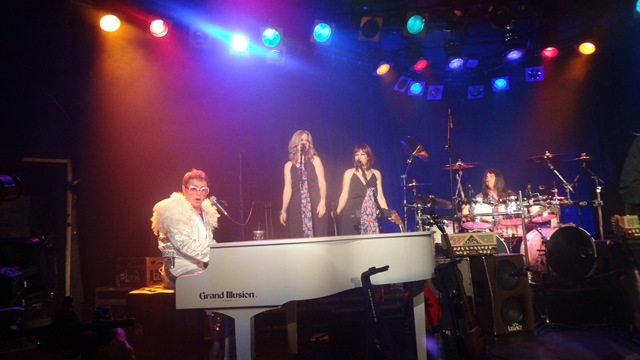 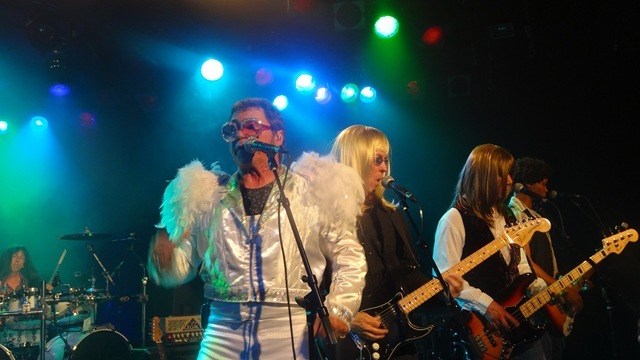 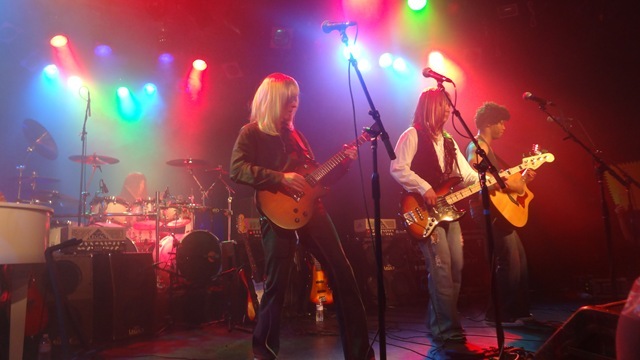 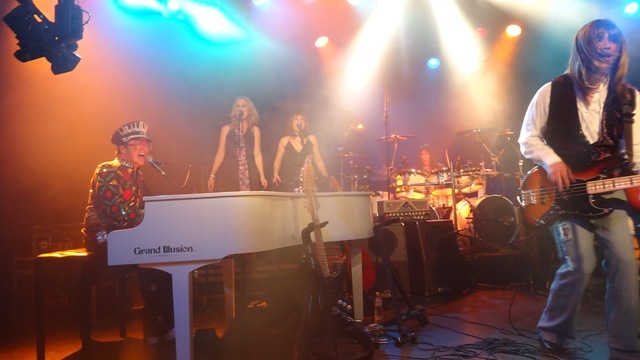 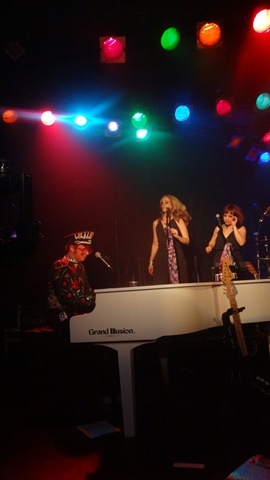 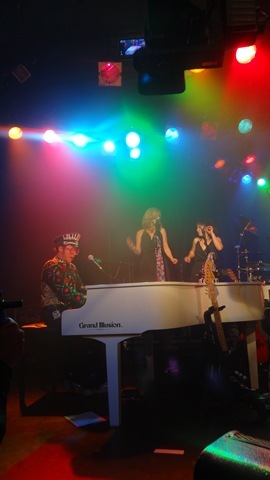 After having really enjoyed the Atomic Punks last Monday, it was time for a quick return trip to Hollywood to enjoy the premiere Elton John Tribute from Kenny Metcalf for the next installment of “The World’s Greatest Tribute Bands” on AX.TV. 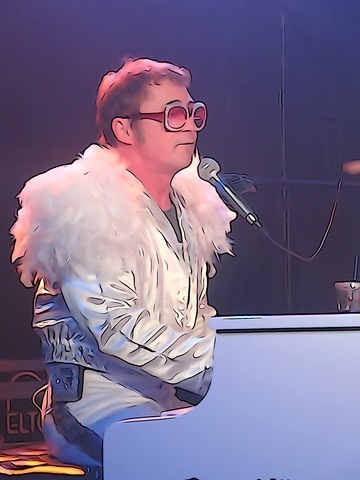 After checking out some of his performances via the Internet, it was clear that Kenny was definitely up for the sizeable task of recreating an Elton John performance. 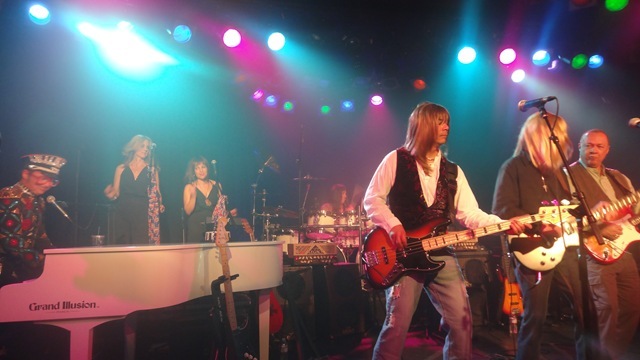 It turns out that Kenny was the original keyboardist with Stryper and toured with the band up until 1986. 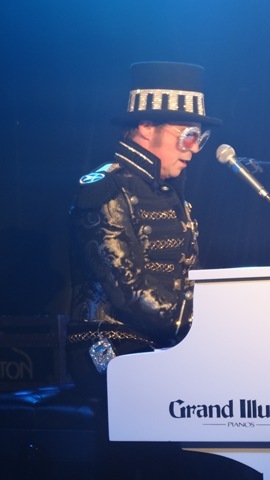 Several years ago, I caught the show of Elton John’s The Red Piano a few times at Caesar’s Place in Vegas. 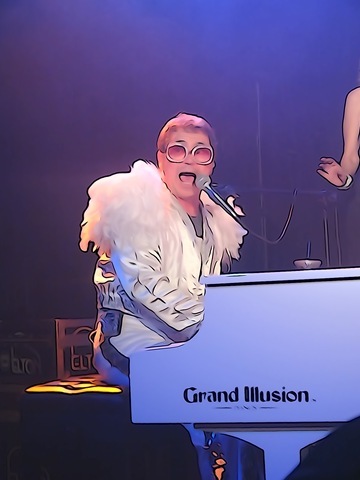 That was an extraordinary production. 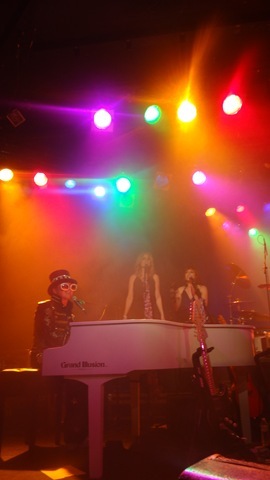 I could just imagine what the Million Dollar Piano is like. 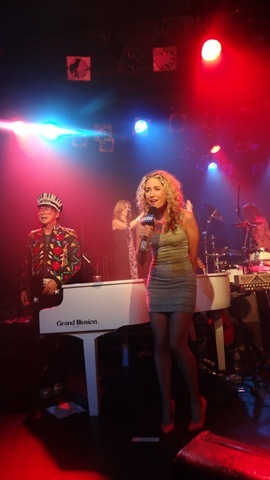 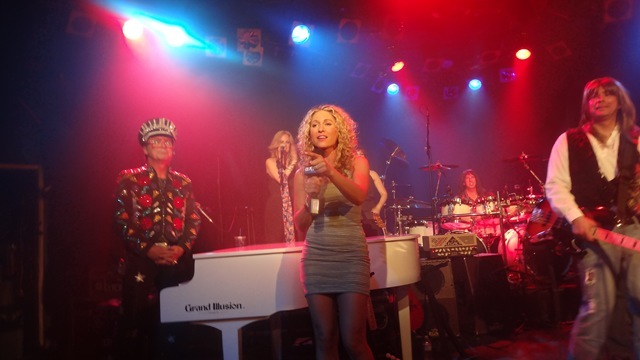 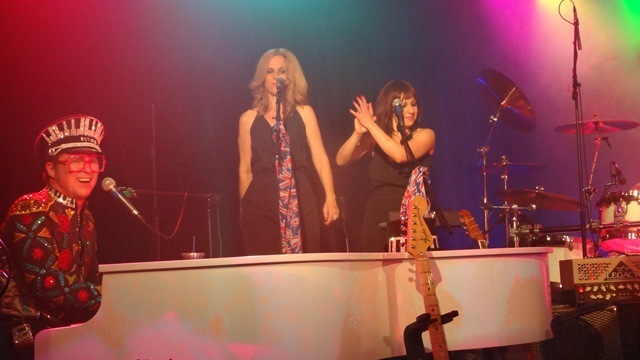 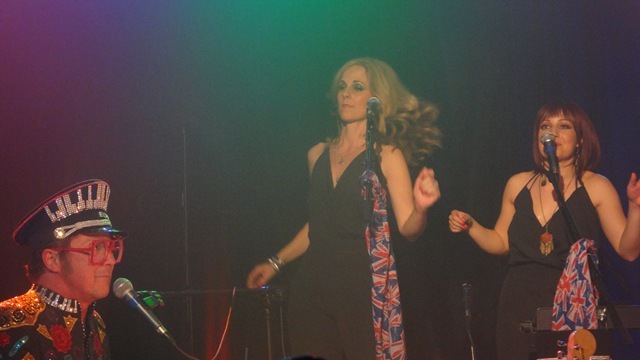 Hosted by Katie Daryl, she did the show’s introduction just before Kenny and the band took the stage. 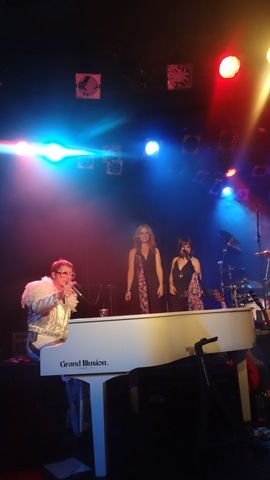 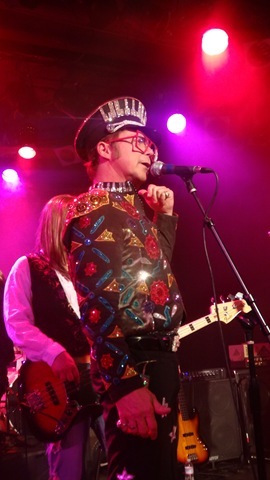 Within a couple of songs, I actually felt like I was at an Elton John concert. 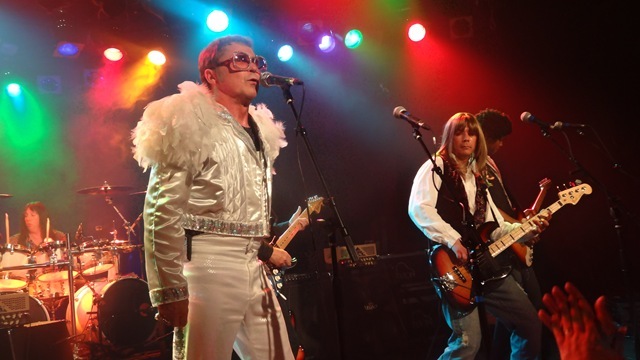 And unlike a lot of tribute bands, I didn’t have to close my eyes to imagine that. 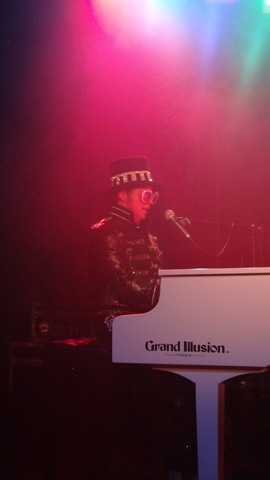 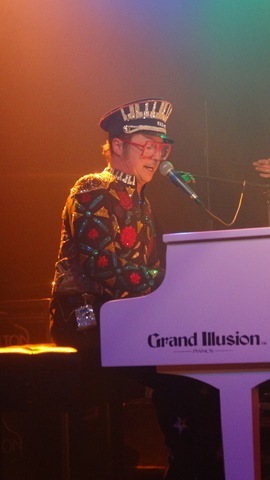 His tribute to early Elton John was phenomenal. 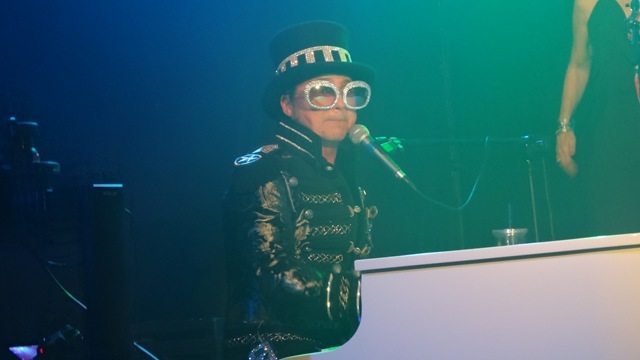 “Goodbye Yellow Brick Road”, “Tiny Dancer” and “Pinball Wizard were the standout tracks. 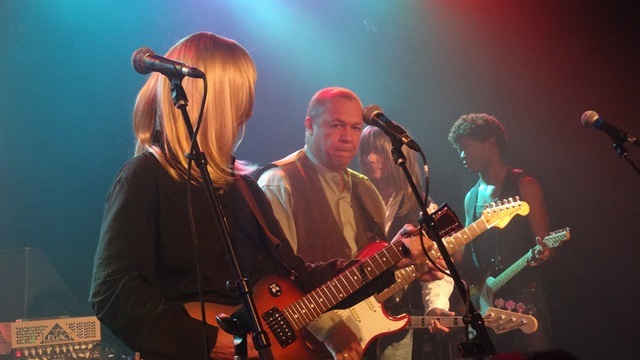 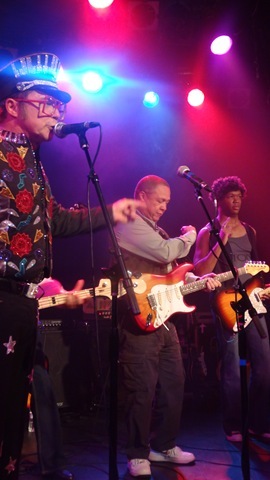 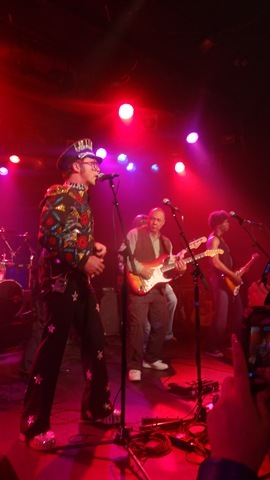 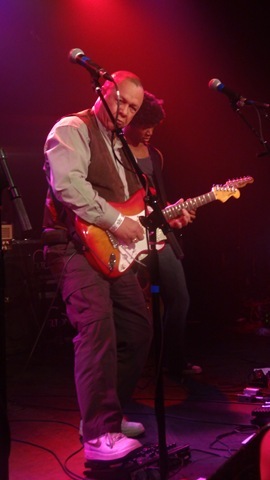 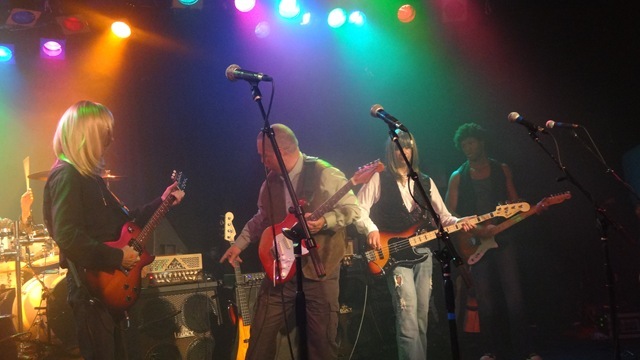 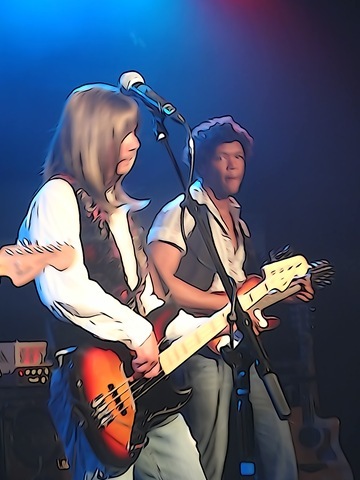 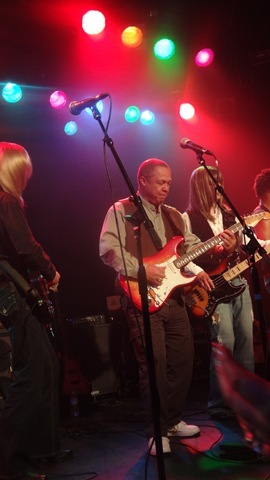 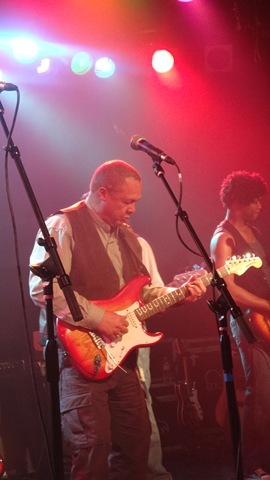 In addition to rocking out to a lot of the popular hits, there was a special appearance by Caleb Quaye, Elton’s original producer and lead guitarist. 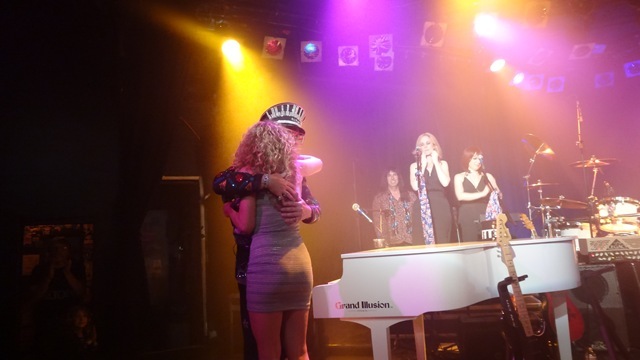 That was a fantastic moment to an already incredible show. 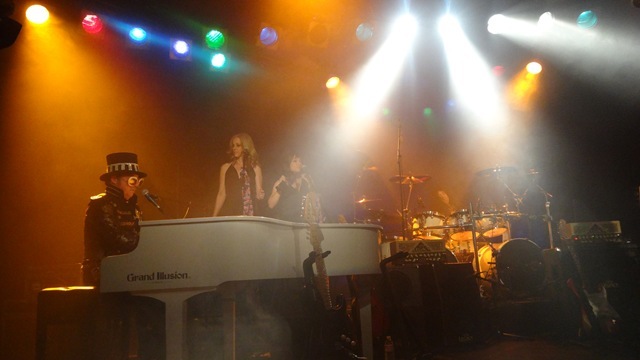 The entire band was on fire. 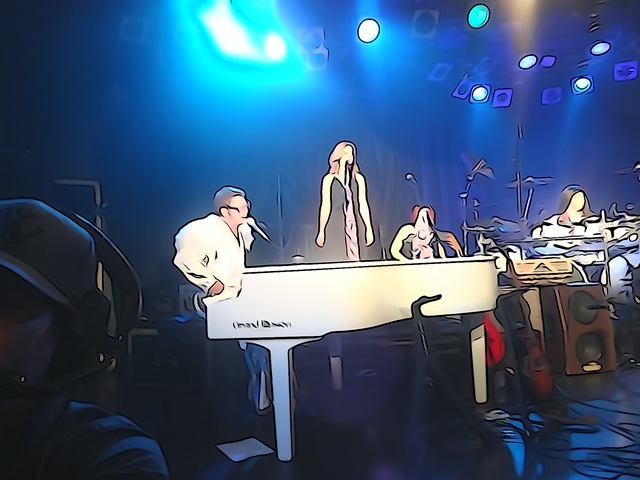 And the sound was incredible. 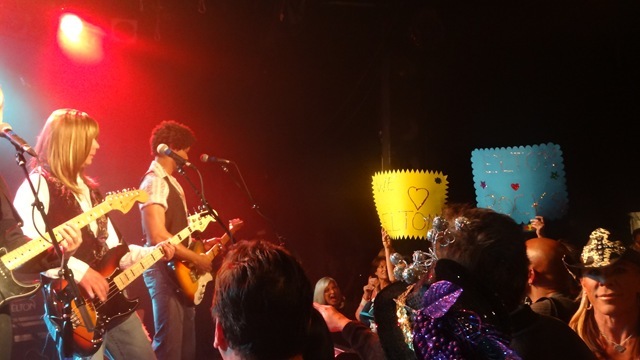 Those amps sounded really hot. 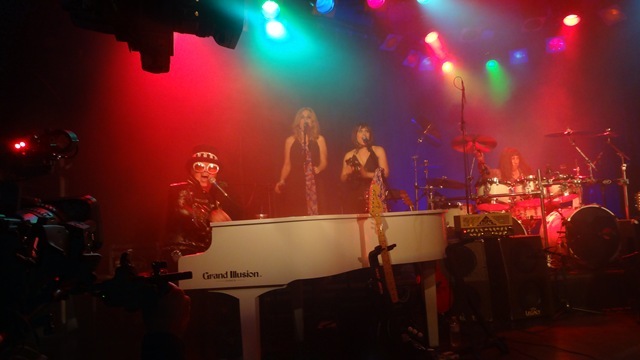 I’ve already watched the AXS.TV airing several times on my DVR since seeing the show live and I’ll definitely check it out again. 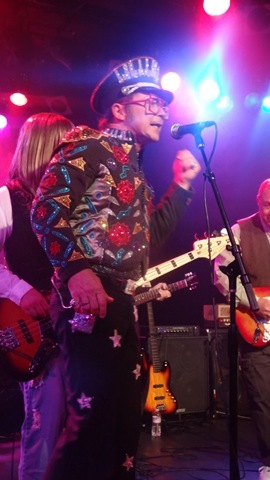 Saturday Nights All right for fighting.